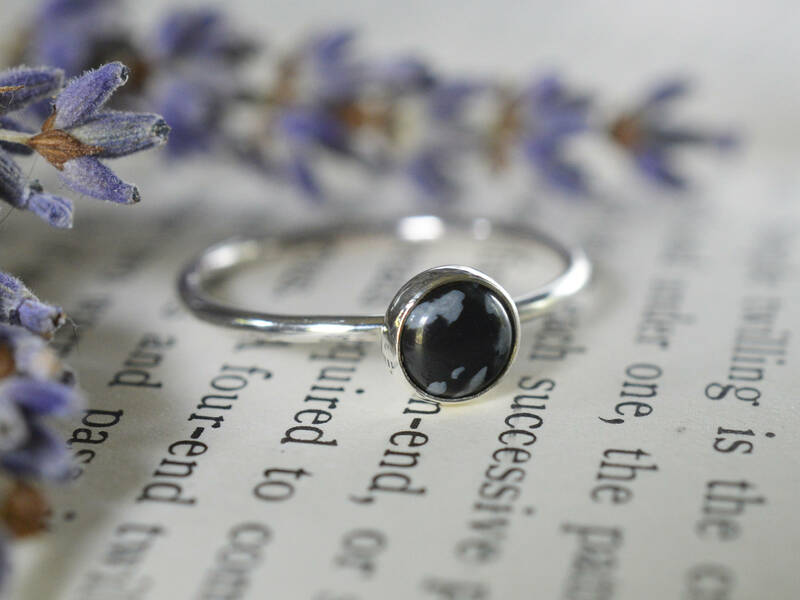 Snowflake Obsidian gemstone stacking ring, with a 6mm stone on a 1.3mm thick sterling silver band and setting. 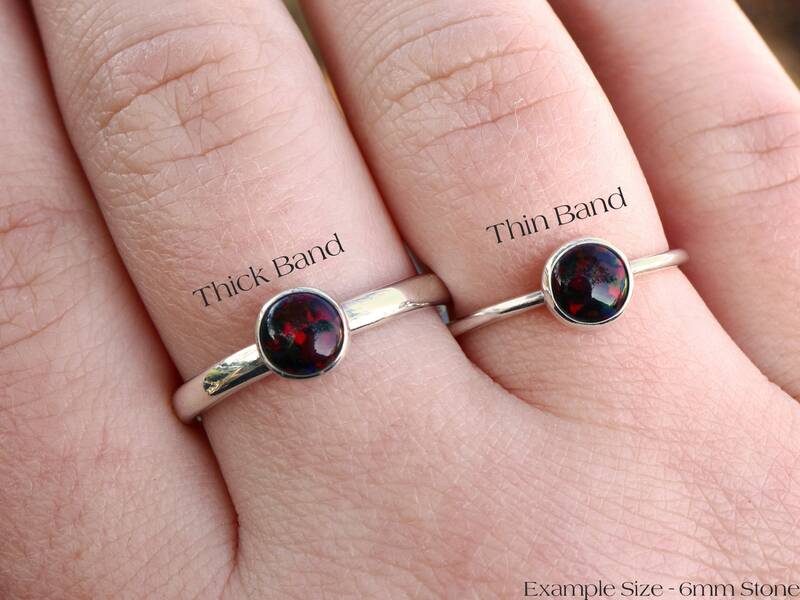 This ring is also available in a thicker 2.5mm oval comfort fit band. All of these stones are natural so have variations. If you have a preference please let me know and I'll try to pick one to your liking! 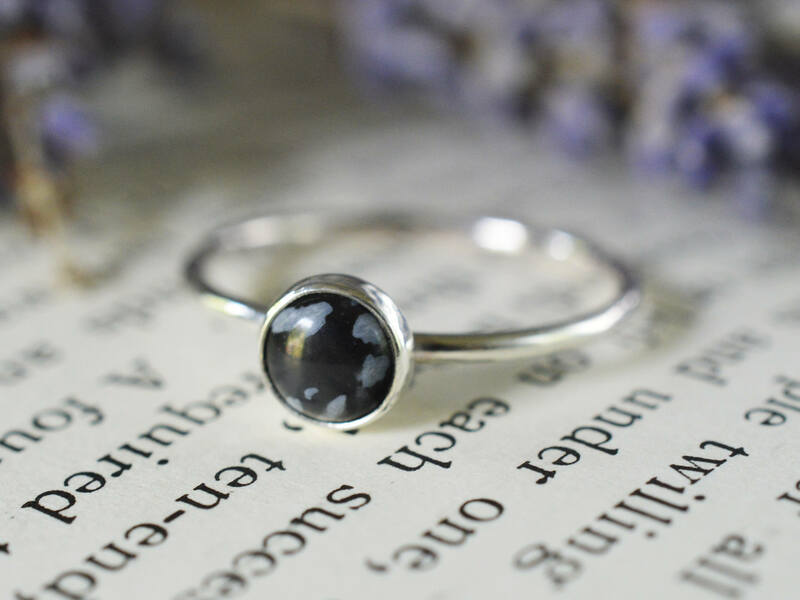 Snowflake Obsidian is used to create balance during changes and to calm and soothe the spirit. 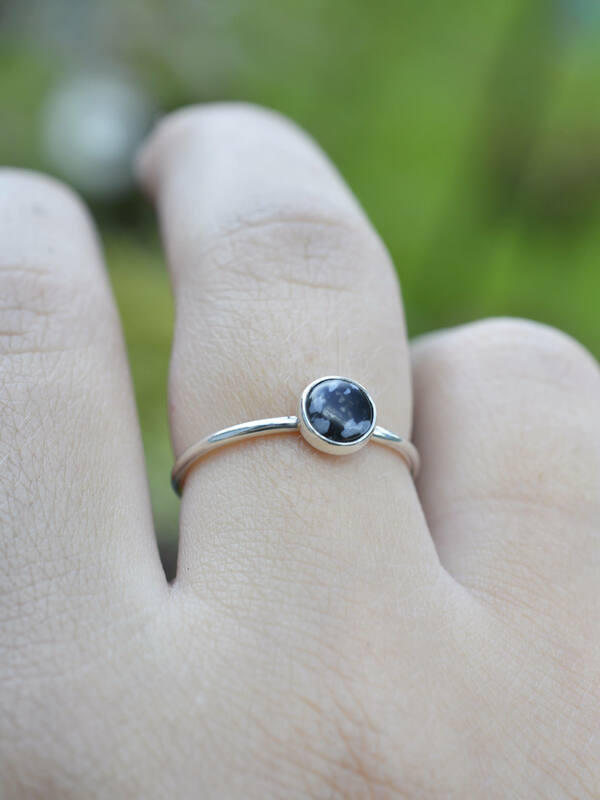 It is known to allow you to recognise and release negative thoughts and bring peace to the wearer. 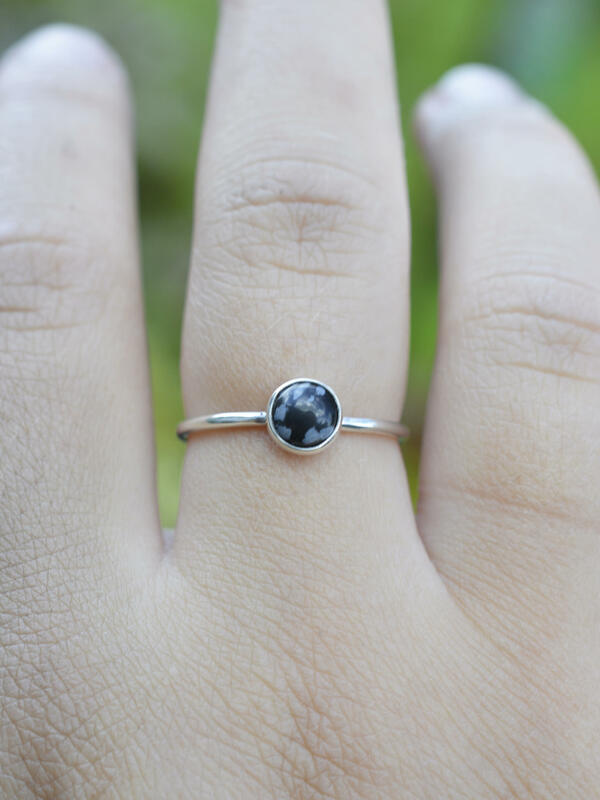 Snowflake Obsidian is also beneficial for those born under the sign of Virgo, so a perfect gift for anyone with this sign! I love it! It is a little bit bigger than I expected but it fits to me. Perfect seller. 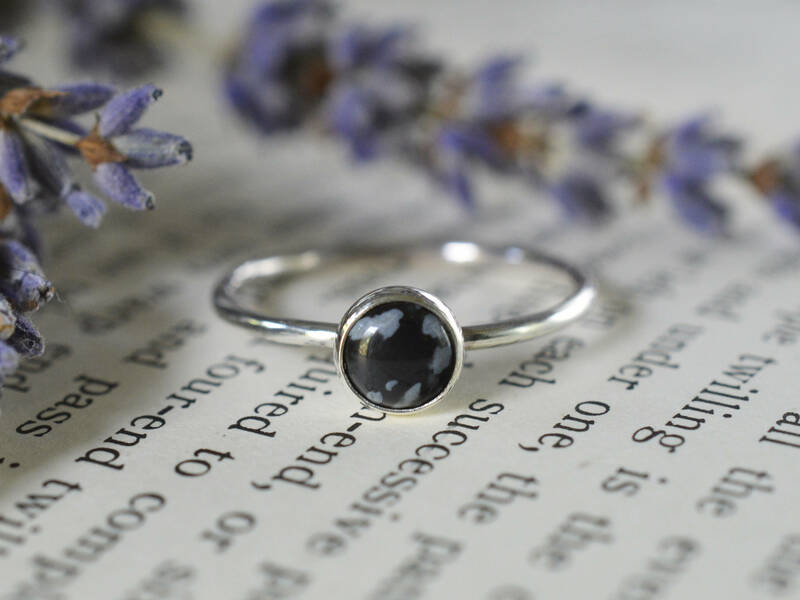 Ring arrived promptly and beautifully packaged, ready to give as a gift. Thank you! !